Today was a bit more leisurely when it came to the sewing. Accessories like leg-warmers and gloves etc are a bit fiddly and time consuming, but can really finish off an outfit in a fun way. So I settled down to concentrate just on doing those, and getting them to fit nicely the first time. To finish off this outfit, I have my heart set on some kind of poncho or cape, with maybe a cowl neck. I have some lovely olive knitted fabric I want to use, but how to finish the edges is going to be a bit of a challenge. All of these look lovely, but don't have hemmed or bound edges. I quite like the idea of fringing it, but I don't have any yarn the same colour as my olive knit... and I've banned myself from Ebay/shopping. I've spent WAY too much lately. All my current projects are to try and use what I have tucked away in boxes and drawers. A considerable amount of materials! Soooo, not sure how to make my own version yet. I'll have to play around with ideas. Ell looks so cute with her big boots! 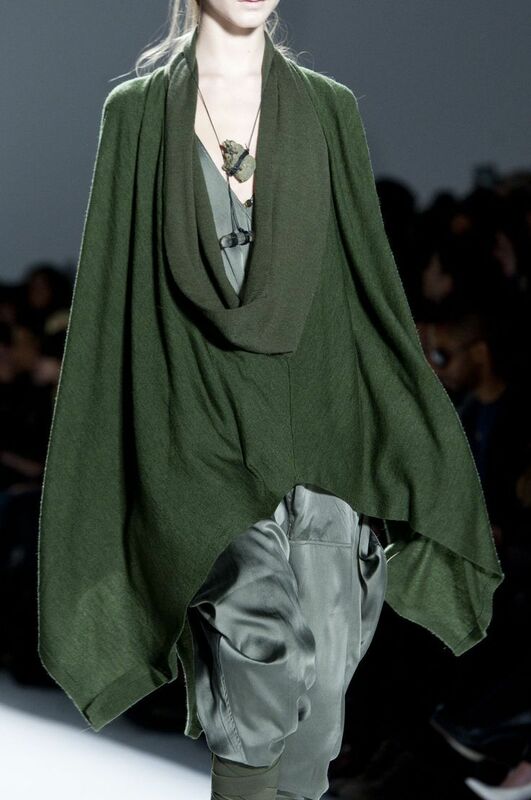 Waiting eagerly to see what sort of poncho you come up with now! Ookay, on this site there is, apparently, a facility where the blog decides that some comments are spam. So that's where your comment ended up... so I have moved you out of spam and now I can see you! 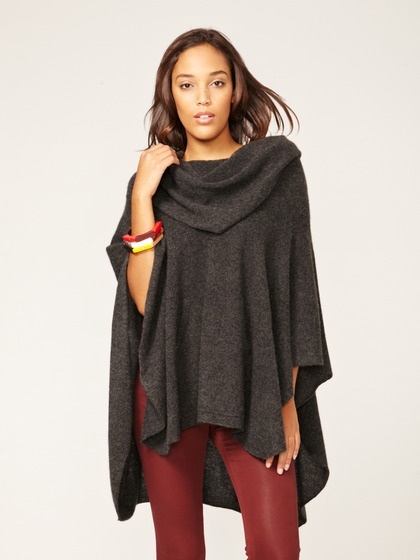 Sadly, the poncho is looking like a no-go in the fabric I wanted to use. Bah. 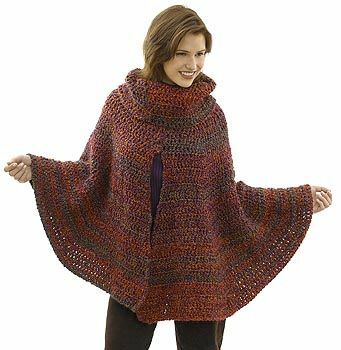 I do like layers :) The poncho, alas is not possible to make. the knitted fabric I have frays really fast and far too drastically for me to cut and sew :( I'll have to think of something else. Olive/Khaki greens are so hard to find in nice yarns - or I'd try knitting one. Thank you :) I do like the lines of those pointy hem tunics.